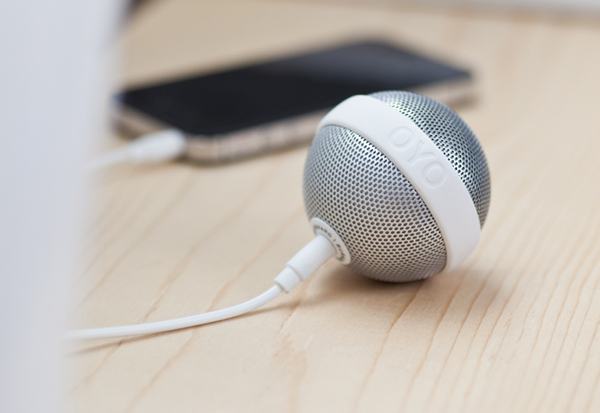 Check out this creative speaker for your phone. 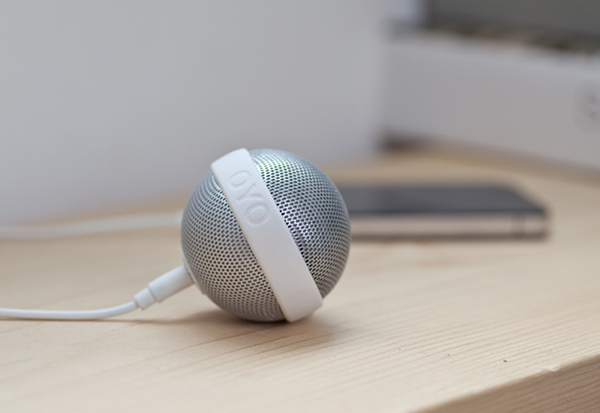 The speaker BALLO for Hong Kong based brand OYO – Objects You Obsess provides massive sound for this tiny device. 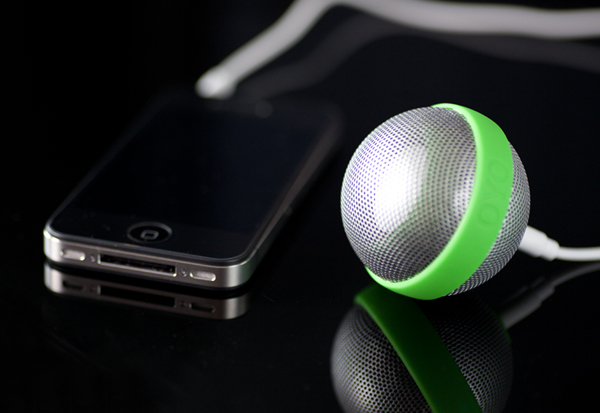 It comes with a built-in rechargeable Lithium battery and is compatible with most audio devices. The 3.5mm jack is a regular plug for headphones. 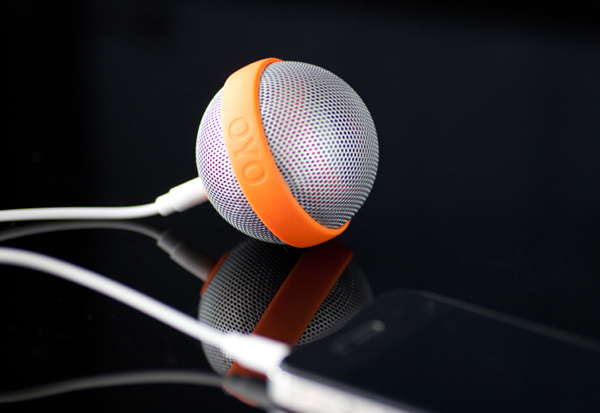 When pluged-in, the speaker turns on automatically. 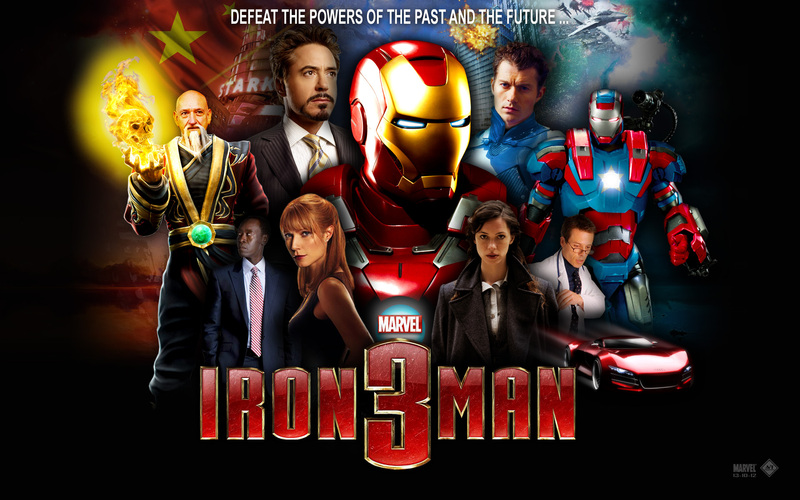 The design follows principles of minimalistic design. A colorful belt fuses two hemispheres. 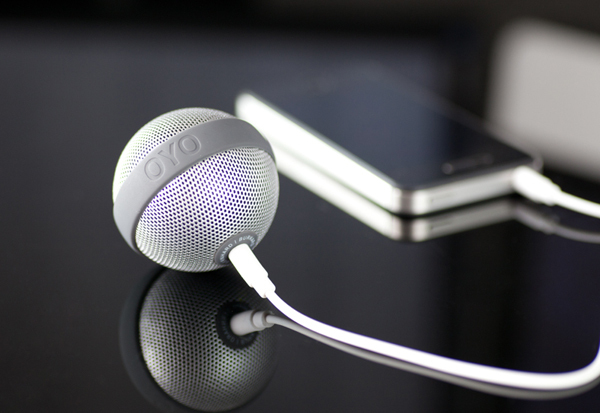 It protects the speaker and increases the bass tones when lying on a surface. 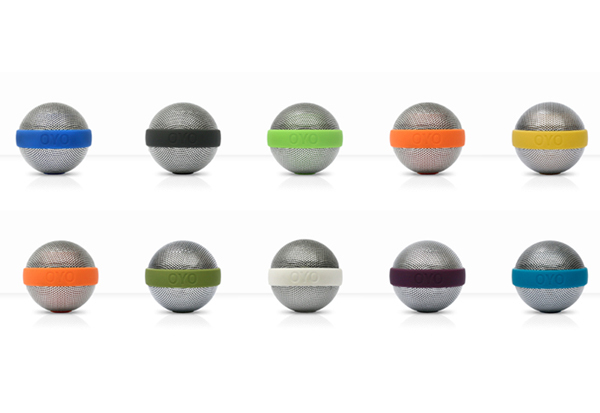 The BALLO speaker is available in ten different colors. Its polycarbonate case makes it robust and perfectly portable. The cool, clean, minimalist interior of the brand-new 100 square-meter retail store, the HITGallery, in the Times Square shopping center in Hong Kong. The elegantly retro store, designed by the talented Milan-based architect and designer, Fabio Novembre, is the first iteration of a new global multi-brand retail concept of the Pettoranello-based fashion house, Ittierre S.p.A. Ittierre holds the licenses, manufacturers and markets several brands, including Aquascutum, C’n’C Costume National, Galliano, GF Ferré, Fiorucci, Karl Lagerfeld Paris, Pierre Balmain and Tommy Hilfiger Collection. The latest brand to sign with Ittierre is Jean Paul Gaultier, with his men’s collection launching in Fall/Winter 2013-14. 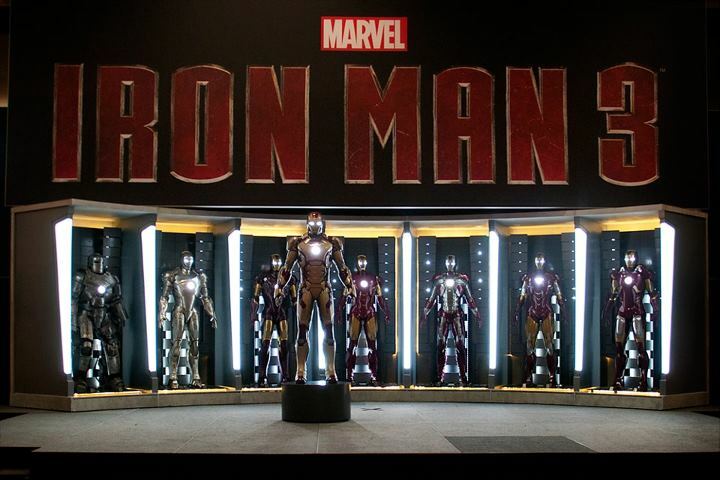 The HITGallery boutiques, slated to open around the globe, features several, if not all, of the lines Ittiere represents. The next store in line will be the Milan flagship but in the meanwhile, Ittierre has just opened a 1,000-square-meter temporary store, IT’S 30 MANZONI, at Palazzo Scotti Gallarati in Milan’s luxury neighborhood. In a media release, Fabio Novembre is quoted as saying that The HITGallery stores capture the essence and spirit of Italy by, for example, taking inspiration from the surreal atmospheres of the artist Giorgio De Chirico. 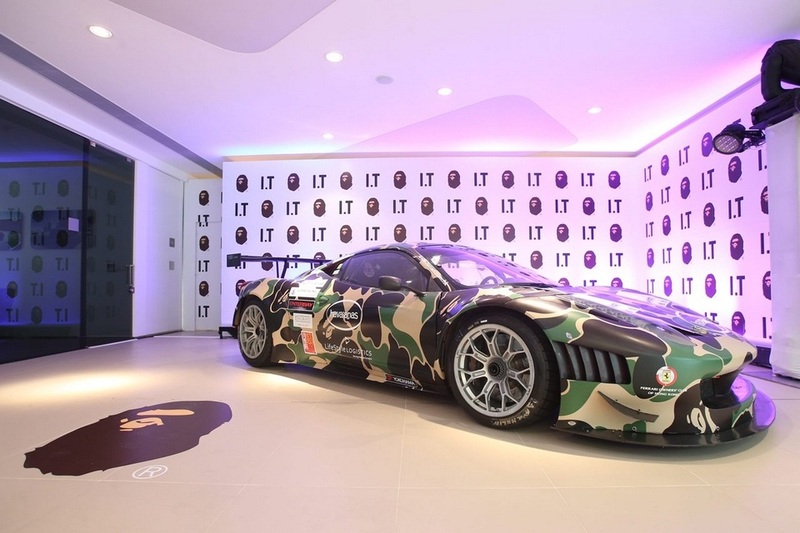 Ferrari Maserati celebrates new showroom opening in Repulse Bay, organized by Ferrari Maserati of Hong Kong and I.T hosted with special guest Ferrari 458 Italia GT3, a mark of collaboration of A Bathing Ape (a Japanese clothing company) with NIGO.